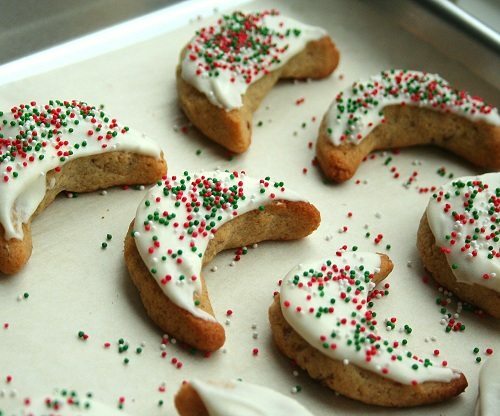 A collection of the best keto Christmas cookies that you can make ahead and freeze. 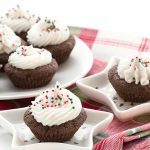 Want to get a jump on your low carb holiday baking? I’ve got 21 wonderful make-ahead, freezable cookie recipes that won’t blow your healthy diet. Perfect for gift giving or keeping all to yourself! 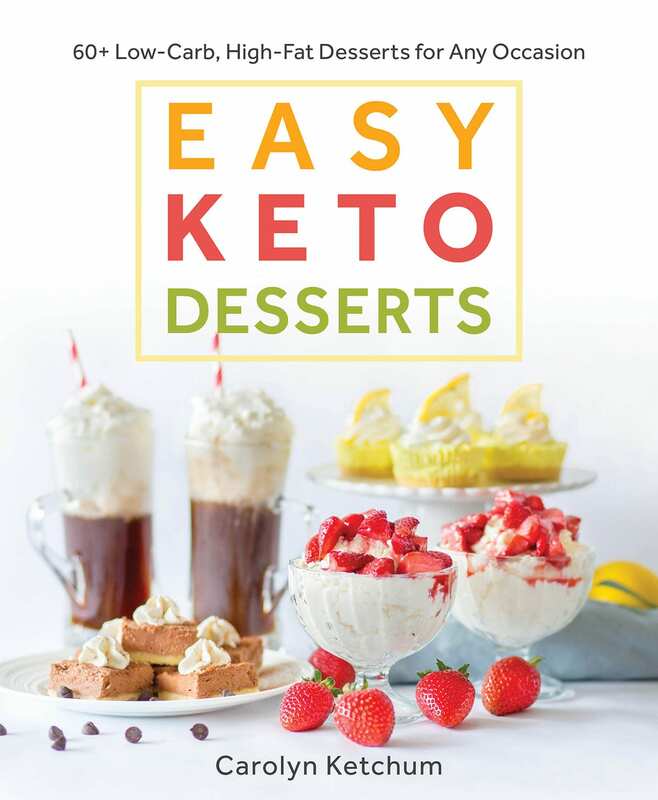 Do you rifle through your low carb recipe collections, seeking out the contenders and giving them a test drive well in advance? Or do you bake as you go, when you just happen upon a recipe that appeals to you? If you’re like me, you’ve already been hunting up and dreaming up low carb cookie recipes for weeks. Possibly even months! It’s funny, because in much of my life, I am not really the planner type. But when it comes to low carb Christmas cookies, I start the process very early. Very early indeed! I am an Early November, maybe even Late October holiday baker. 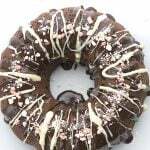 I just love holiday treats, I love baking them, love sharing them, love everything about them. It really is the most wonderful time of the year. Let’s face it, if you start baking too early, you’re going to run into some issues. Like stale and moldy cookies, which aren’t going to help you spread the holiday cheer. But on the other hand, if you start baking too late, you might run into a time crunch trying to get it all done. What to do, what to do? Part of the planning process is deciding what low carb cookie recipes can be made in advance and frozen. Not all recipes fit this bill and they change too much upon freezing and thawing. But others have just the right consistency to be frozen without incident. Most basic almond flour or coconut flour cookies freeze just as well as conventional cookies and don’t change consistency upon thawing. By “basic”, I mean ones that don’t have fillings or a lot of decoration. Let the cookies cool completely before storing in a container or plastic bag. This allows the cookies to firm up properly before storing. 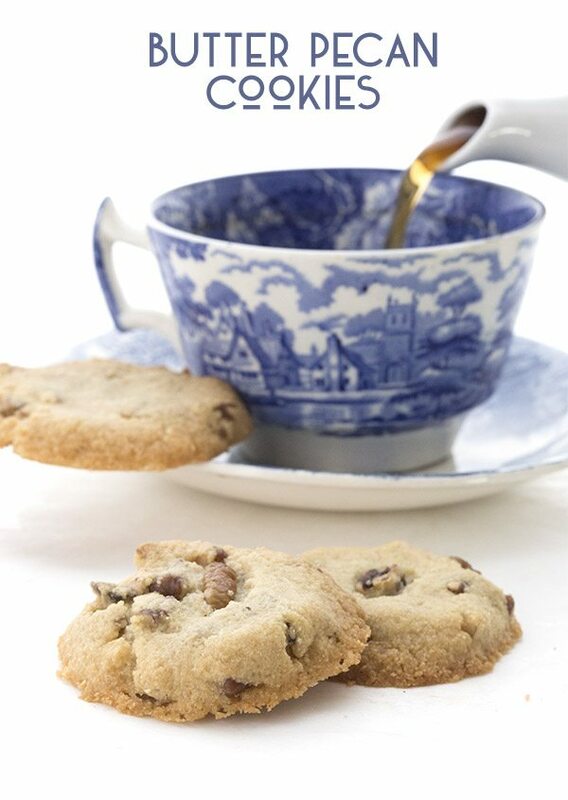 Warm cookies will also give off condensation in the freezer which could ruin them. Flash freezing the cookies works well. Place them individually on a cookie sheet, not touching, and place the cookie sheet in the freezer. Then remove and place them in your container of choice. This helps them not stick together during the freezing process. Chocolate doesn’t freeze well. This is the case even for conventional cookies as the chocolate can bloom and go grey in the freezer. So cookies that are meant to be dipped in chocolate, like biscotti, or have a chocolate center, like peanut butter blossoms, are best frozen without. Then thaw and decorate as desired. Raw cookie dough freezes well. Some cookies are actually best frozen in their raw form. 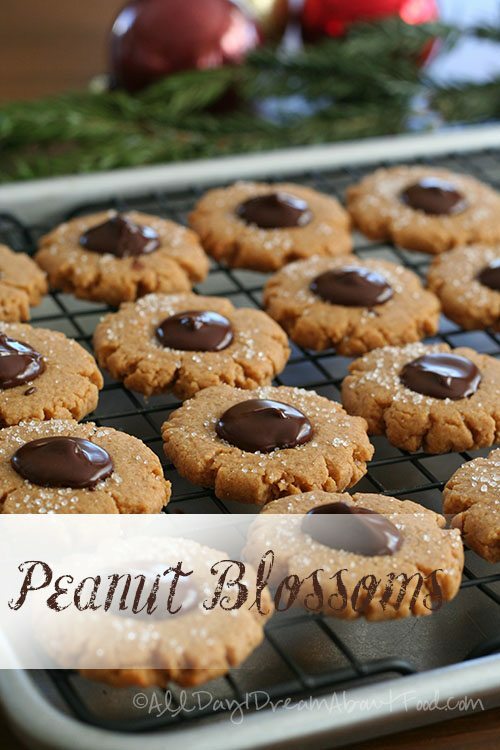 Consider doing this for drop cookies like chocolate chips and peanut butter. And my famous Chewy Ginger Cookies! The easiest way to do this is to roll them into balls and flash freeze on a baking sheet, then transfer to a zippered freezer bag once they are solid. Let them thaw before baking. Slice and bake cookies like pinwheels are actually designed to be frozen before baking, as it allows you to slice them more thinly. This post was originally published in 2015. 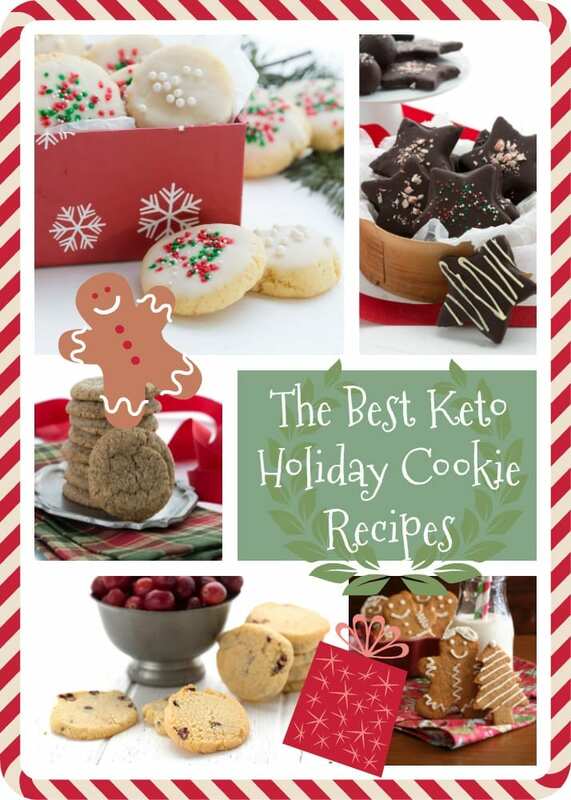 Since then I’ve created a lot more keto cookie recipes! So it was time for a wee update so that I could include the best of them. So many great options for make ahead holiday cookies. I’ve gathered 21 of the BEST low carb freezable cookie recipes – all of them will be good for about a month when wrapped up air-tight. So you can get ahead now and have time in December to relax and enjoy the festivities. The best way to make these ahead is to roll the dough into balls and freeze on a cookie sheet. Then store in a plastic bag in the freezer. Simply let thaw on the cookie sheet when ready to bake. These easy egg-free cookies are best stored frozen without the chocolate coating. You can freeze the dough logs or the baked cookies. These tender keto spritz cookies are best frozen before you dip in chocolate. Best frozen before decorating, although they do okay as decorated cookies too. These classic cookies are best frozen without the chocolate center. Add that in after thawing. Freeze prior to rolling in the powdered sweetener. 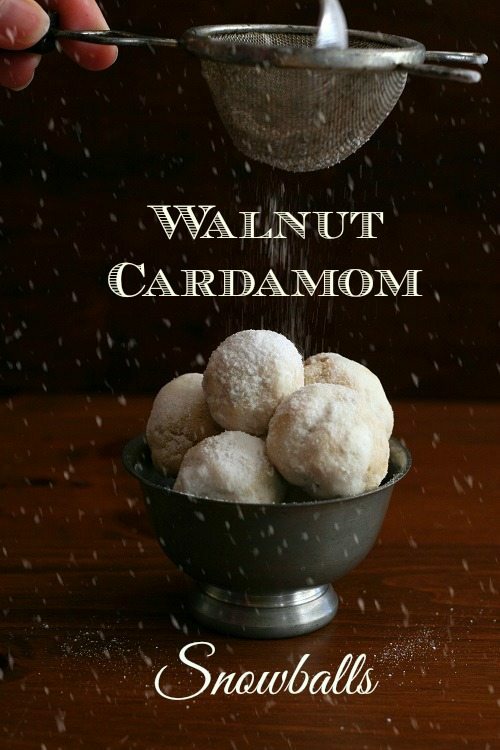 Don’t like walnuts or cardamom? Try chopped pecans instead! Best frozen before dipping in chocolate. Freeze the baked shortbread before dipping in chocolate. These can be frozen after baking. Sprinkle with powdered sweetener after thawing. 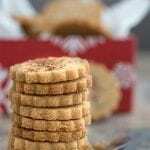 These just might be my most popular keto cookies ever! You can roll the dough into balls and freeze or you can freeze after baking. Freeze these soft Christmas cookies before decorating. My dad’s favorite Christmas cookie! Freeze before decorating. These can be baked and then frozen, or rolled into balls, frozen and then thawed and baked! Freeze before rolling in powdered sweetener. Okay so they aren’t cookies. 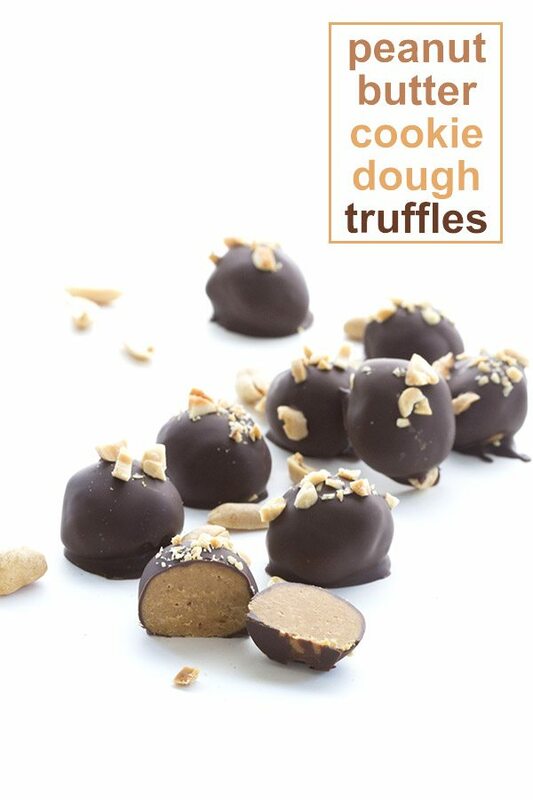 But they are also known as peanut butter cookie dough truffles so I think they should count! Freeze the balls before dipping in chocolate. You should be able to freeze this as raw dough or as baked cookies. This is a perfect slice and bake recipe. You freeze the dough logs and they can last for up to a month. Then you can bake whenever you’re ready. These are best frozen before adding the chocolate filling. 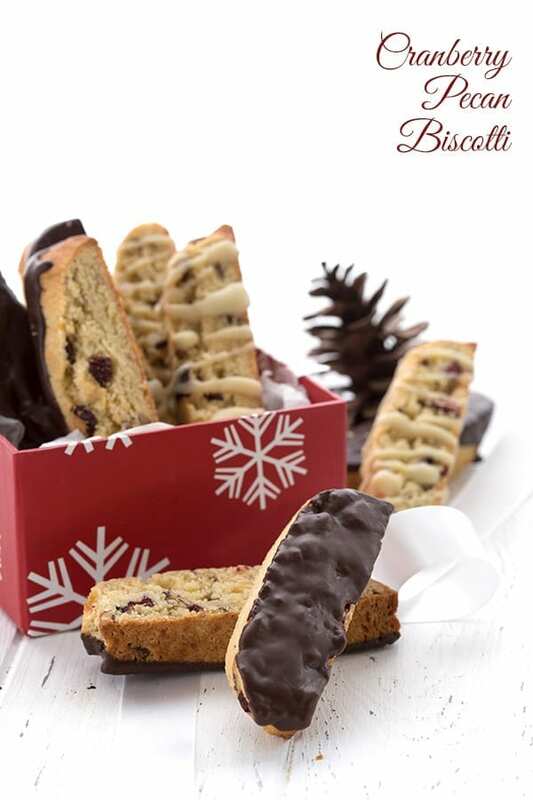 Freeze the biscotti before dipping in chocolate. Okay so again it’s not exactly a cookie. 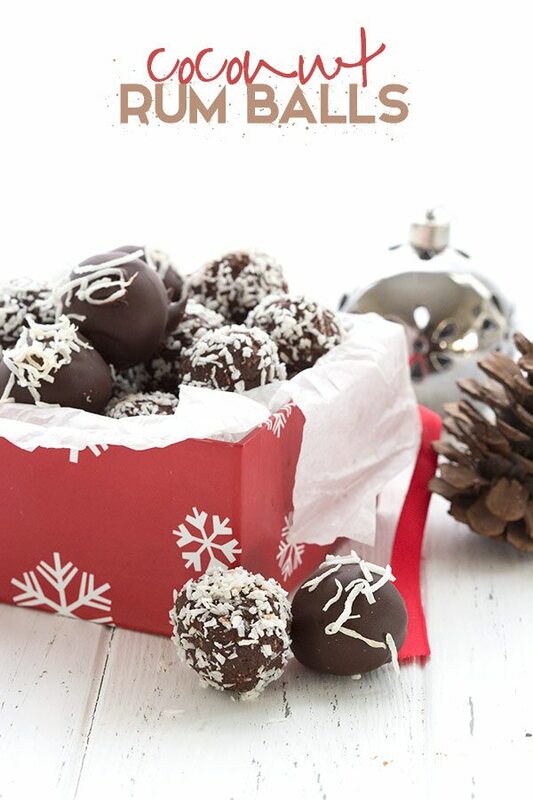 But these no-bake holiday treats are delicious and easy to make. And you can freeze the balls before rolling in coconut or dipping in chocolate. I can’t begin to tell you how much I look forward to your recipes in my email. I was a serious baker 20 years ago before realizing I needed to lower my carbs and minimize grains. Being able to add baked goods back into my life has really enriched not only my diet, but my ability to treat the diabetics in our family and make us all feel less deprived. Baking has always been a creative experience for me and I appreciate being able to express that side of my personality. Can’t wait to try some of these recipes. Thanks, Julie. I feel much the same way, which is why I do what I do! I love your recipes and always look forward to trying them out. I was wondering if there is a difference between peanut flour and peanut powder. I think Honeyville sells the powder. Can I use either one? It is easier to find the powder in stores. The powder is actually what you want. It’s partially defatted peanut flour. The Honeyville brand? I found Protein Plus on Amazon. Would that work instead? I use the Protein Plus…I’ve never tried the Honeyville. Hi Carolyn, Love your recipes. I can’t digest almond nor coconut flour. I use pork rinds for stuffing and crusts for cheesecakes. Can any of these use pork rinds as a substitute? Thanks for all you do for all of us. I haven’t tested any of these recipes with pork rinds but I am highly doubtful. I love anything chocolate & peanut butter! Keep em coming. This is my favorite blog on the planet….and like others often the high point of my day. Its the first thing I look for when I power up the computer after work. The recipes are outstanding and the photos actually do them justice. You eat first with your eyes as they say. Merry Christmas to us….thanks Carolyn. Thank you for your kind words, Deborah. I love lily’s products. Your coconut chocolate chip cookies are my favorite! Thanks for all of your great recipes. Used to make thousands and freeze the baked cookies. Now I have the chance to do so again. Thanks so much for the variety of recipes. I never do freezable cookie recipes anymore. Looking forward to trying these! My favorite cookies to freeze were a choc chip. I’d freeze the dough balls and bake a a few when we needed fresh, warm cookies. Haven’t done that at all since last year. Stupid diabetes. I’ve done that exact thing with this recipe. It works really well! 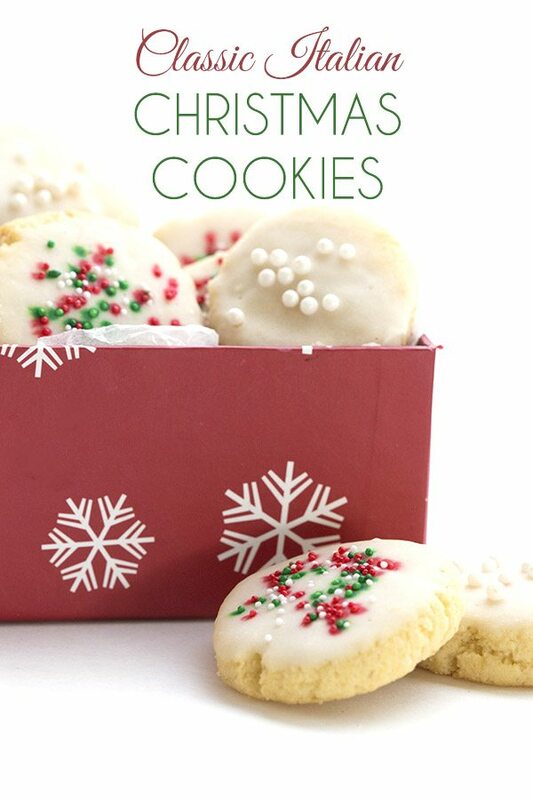 I have never frozen cookies but with all these recipes, I may have to this year! I’ve never frozen cookies before but I need to make a ton of cookies for the holidays this year so this will be my first time trying it. I’m hoping to make some chocolate chip cookies, shortbread cookies, ginger cookies, and at least one other type of cookie. I’m still undecided on that last one. 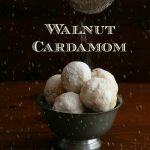 The chocolate hazelnut sandwich cookies and cranberry walnut cookies mentioned in this post both sound like delicious options! I love Lily’s chocolate! 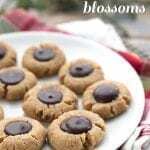 Plan on making your peanut butter blossoms and snowball cookies this weekend. 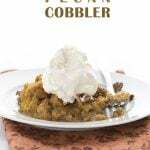 I adore your magic cookie bars and the caramel sauce element is amazing! I make a full recipe of the cookie bars, slice into individual squares for portion control and keep them in the freezer. I’m planning to get an early start on Christmas baking this year. Your recipes came at just the right time and I’m anxious to try several of them! Never get tired of a good chocolate chip cookie and I love the idea of freezing the dough balls and making them fresh, as needed! Cranberry Walnut Chocolate chip is my favorite, especially on a Holiday tray. I’ve never frozen cookie dough (it never lasts that long)! I’d love to try chocolate chip dough, that’s everyone’s favorite. I can’t wait to try some of these> Love Lily’s! I Love your caramel sauce recipe. I’ve already frozen a few batches. Your recipes are amazing and I just saw a picture of you in long hair. Wow great picture. What a great post! I understand what you mean about baking ahead but I love freezable cookies anytime of the year. Great for unexpected guests or unexpected cookie cravings. I am looking forward to lots of holiday baking experimentation this year. Keep the great recipes coming! Great post! I plan on making several of these! I love to bake and freeze chocolate chip coconut cookies (they are reminiscent of oatmeal cookies). Can’t wait to try some of these on your list! Yum!!! I love your chocolate chip cookie dough bites. They are so easy to whip up when I want a delicious, chocolatey treat that I don’t have to bake. I made them again last night, but they never last long enough in my house to freeze them. 🙂 Perhaps I should try making a bulk batch and freezing some to enjoy later. I love Lily’s chocolate as well as your recipes. Thank you for everything you do! This is my first holiday cooking low carb/gluten free. It’s scary yet exciting. Your blog has helped me so much. Was so excited to see you had holiday cookie recipes!!! Used to freeze chocolate chip cookie dough. Now I’m anxious to try some of these recipes. Macaroons have been my favorite freezable cookies. Easy to make and so good. You have brought some Holiday sunshine into my life. I’ve been a boarder Type 2 Diabetic for a few years and suddenly this summer my sugars went ski high. So know I have to live a low carb life style. With the holidays here I must admit I’ve been feeling a bit down because so many of the treats and such that go along with the Holidays are not in my diet anymore. Except for maybe a bite of something. Then I found this posted on All Day I Dream About Food fb page. I can’t wait to start making some of these. Thank you so much. And enjoy your Holiday Season. Happy Thanksgiving and Merry Christmas! I know how you feel, Kathy. 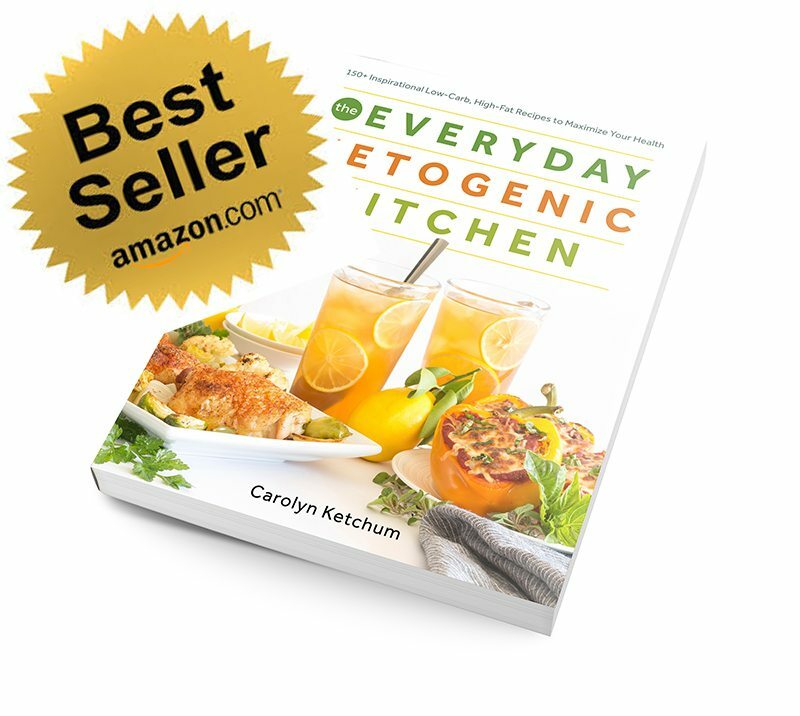 That was my fear when I first went low carb too…which is what egged me on to create these recipes! I like freezing chocolate chip cookie dough. This is just what I was looking for! Thanks for sharing! I modified your cranberry ginger butter cookies into snickerdoodles and I’ve been keeping them in the freezer. I’be been making a peanut butter sandwich cookie with them for breakfast. Yum! I just love jam thumbprints with the dough rolled in chopped nuts before filling. I make them up to the point of being jam-ready, then freeze. Now that I’m low-carb, I’m using your raspberry chia jam this year! BTW, from the list above I’ve already made the Cinnamon Roll Biscotti (fantastic!) and the No Bake Chocolate Chip Cookie Dough Bites (a great treat! 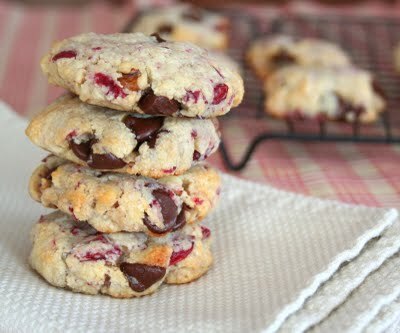 ), and I’m making the Cranberry Walnut Chocolate Chip Cookies this weekend–can’t wait! My grandma taught me the “freeze your cookies” thing. She used to freeze some of the various cookies people would give our family throughout the holiday season, then whip them out a month or two later as a yummy “surprise” treat. I haven’t made many cookies since I went low-carb, but I can vouch that the salted caramel bars from this site freeze perfectly! P.S. 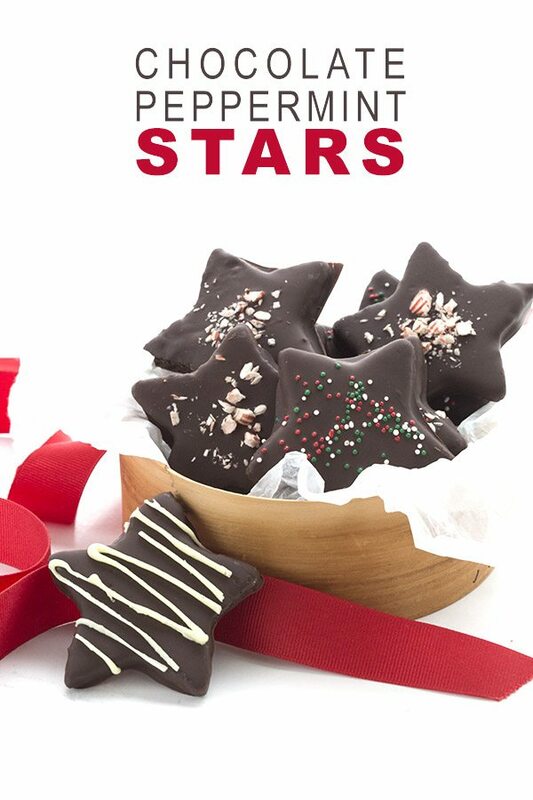 Thanks for the tip on the Lily’s holiday flavors…I have to try them!!! 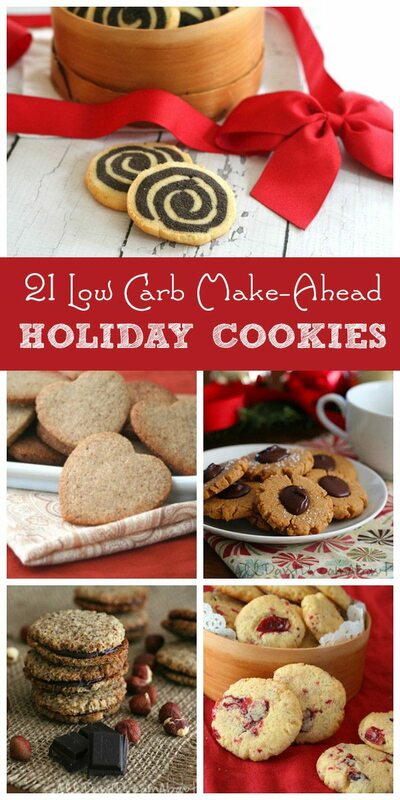 I haven’t frozen cookies since going low carb, I will have to try some from this list. I love being able to eat cookies again! I am looking forward to trying these. Thank you for taking the time to put this together. Chocolate chip cookies- I freeze the dough and then I can have warm, gooey cookies anytime & can make a couple for me, or a full sheet if I have company. Yummy! What an awesome collection! I used to make and give away cookies at Christmas, but I haven’t done it the past few years because I don’t keep traditional baking ingredients around. Too tempting for me. Now I have a collection I can use next year. We just moved and all of my baking tools are still in storage. I’m going to be spending December putting my new house in order, so this year I’m collecting recipes, many from your site, to make next year. Thanks for all the hard work you put into making recipes those of us who follow a low carb diet plan can use, knowing they will work the first time we make them. I love a good shortbread cookie. My favorite freezable cookie is whoopie pie cookies. Shortbread cookies, they are a family favorite going back years and years, we don’t do the holidays without them, and like to tint them green and cut in christmas tree shapes. I don’t really get to freeze cookies here!! There are nine of us in this house and one batch barely gives us all some lol. Cranberry Walnut Chocolate Chip Cookies are to die for, year-round. Freezing cranberries (as I read on one of your recent recipes) is a new must-do for me so I don’t have to wait for fall to roll around. Oh, I love Lime Meltaways – SO good, and actually I like them close to frozen when I eat them. I think it enhances that “cool” feeling you get from meltaway cookies. Did you ever find these recipes, I too am looking for them. 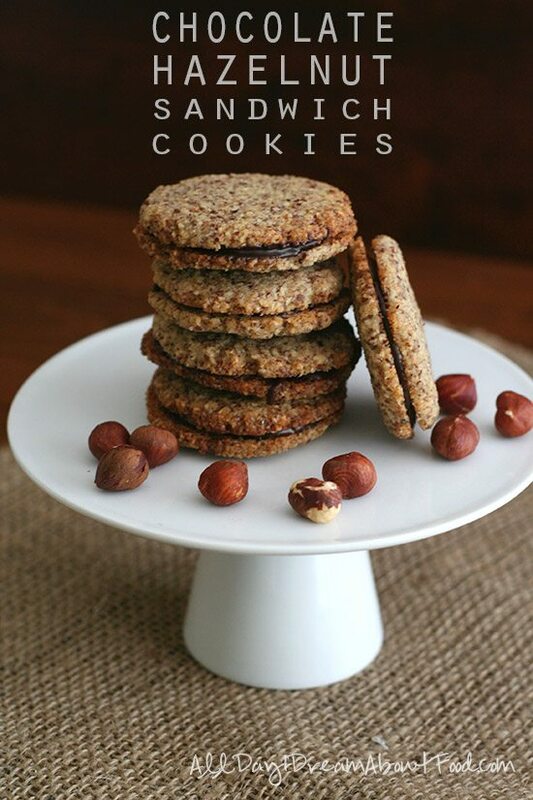 The hazelnut sandwich cookies sound amazing! My favorite freezable cookies are my grandma’s dark molasses cookies — too bad they’re loaded with sugar! My favorite recipe is the cranberry chocolate chip cookies. I would love to give my neighbor a bag of Lily’s chocolate chips for a gift as she has just begun a low carb sugar free diet. Pre-low carb I loved chocolate crinkle cookies. I’ll obviously be looking for a new low carb favorite. 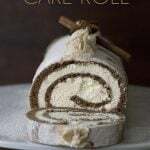 I’m usually a last minute kind of baker, but this post has inspired me to start early, all the recipes look so good! The only way I’m going to make it through the holidays is if I have a freezer full of low carb sweets. Thanks so much for the recipes. My favorite are snickerdoodles and I’ll eat them fresh from the oven or freezer. I love all of your recipes! They have made making this lifestyle change not just bearable, but wonderful!!! Thanks for all of the great healthy recipes! I love Belgium waffle cookies or gallettes, frozen. They are not low carb, just a cookie that has been in the family for 100’s of years. I am looking forward to making some of these recipes to freeze this year. And lily’s is my fave chocolate ever since beginning trim healthy mama 2 years ago. Thanks for the wonderful List Carolyn! They all look yummy! My favorite cookie to freeze is the Oatmeal Scotchies. I haven’t had one in the last several years, but used to love to pull one out of the freezer, warm in the microwave and drink with a hot mug of tea! Yum! They stopped carrying Lily’s chocolate bars at my grocery store. I’ve never found the chips at all. But it’s ok those shortbread cookies look yummy. I’ll have to try them for turkey day. “Legal” dessert. Yum. I’ve made the cinnamon roll biscotti before and they were easy and yummy. I need to try the other biscottis so I can have a sampler plate for everyone. Shortbread cookies are always a holiday favorite! 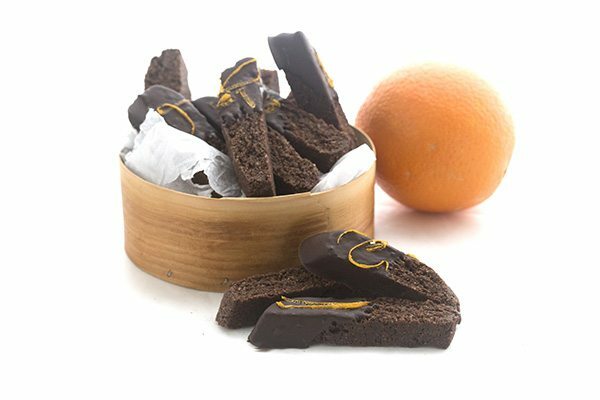 We make the Chocolate Orange Spritz Cookies every year without the orange zest or the optional chocolate dip. lol. 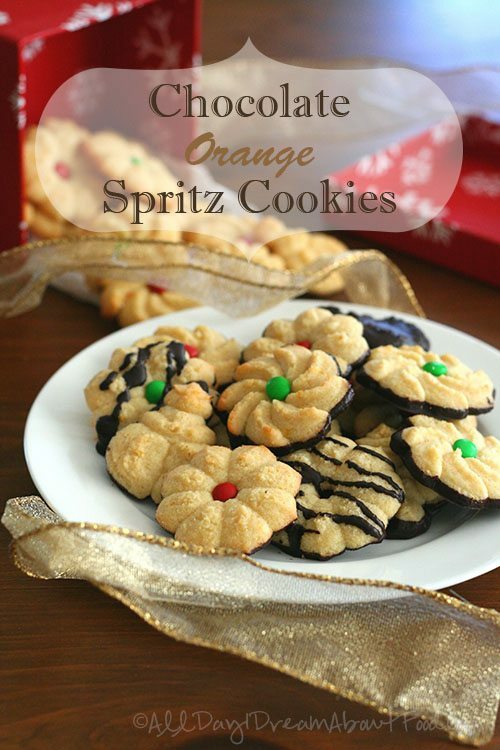 We just call them Spritz cookies and they are wonderful! Love that we can bake dozens and dozens and freeze then so they last for a while. These are the only cookies I have made so far, so I guess they are my favorite. 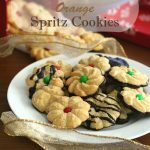 Spritz Cookies are a holiday tradition at our house so I was thrilled to find a low carb recipe that tastes every bit as good as the ones I used to make. Maybe this year I’ll decorate them with that chocolate dip. I’m pretty new to the low carb world, but I love anything with chocolate in it. I’m planning to try some cookies soon. Love all of your recipes. I also look forward to getting an email stating you have made something new. Thanks for all your hard work! Good old chocolate chip cookies ? My favorite freezable cookies are plain sugar cookies thst my children decorate later! I’d have to say spritz! I’m new to the low glycemic diet, so I was a little bummed that I would not be able to have my traditional Swedish spritz this year. When I saw your recipe above I may have let out a little whoop! And seriously, I don’t know how I would have made it this far without Lily’s. So, so good! I’ve never frozen cookie dough, but I look forward to trying some of these recipies, and I’d love to win some Lilys chocolate! Oh wow! These all look delicious! I think my first choice is the Thin Mint Truffles. Back in the day, it was pre-shaped chocolate chip cookies, or monster cookies. I have’t found a good THM one yet. I’ve never made make-ahead freezer cookies, but I’m excited to try them! I bake mega batches of your cookies and freeze them, usually tripling the recipe. My favourite is the cranberry walnut chocolate chip, hands down! The chocolate hazelnut is really great too, I just have to add cocoa powder to the dough to boost the chocolate. I’ve never met a cookie I didn’t like. 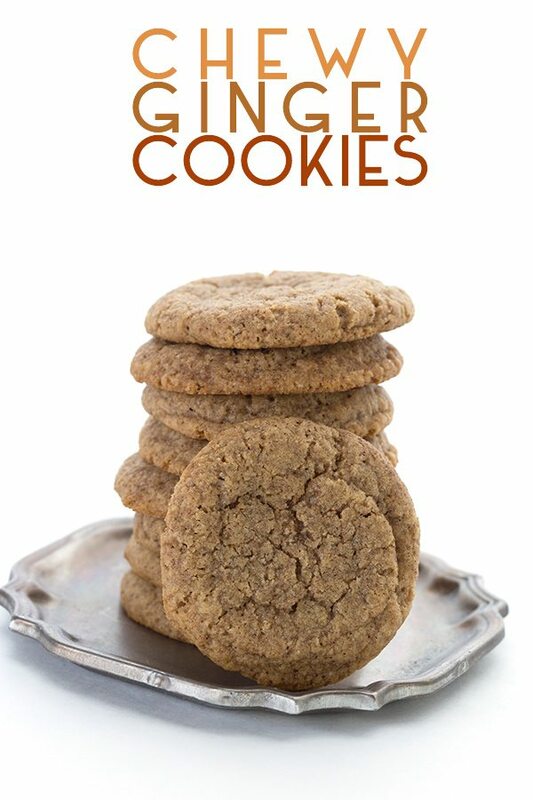 I’m omexcited to try some of these healthier cookie recipes so that I can enjoy them without the guilt. I have never tried Liky’s chocolate, I hope I win! 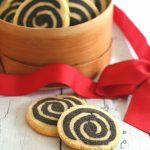 I made the pinwheel cookies last year and they were awesome!! I will have to try one or two of these others this year! 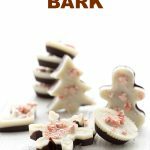 I’ve never tried freezing cookies, but I’d love to try these recipes! I haven’t found a favorite since I went GF/LC. But my mother used to make these oatmeal, vanilla, scotchies that were my favorite cookie ever! She would wrap them in foil, then cut off 6 cookies at a time, (2 for each daughter) any time we wanted a quick sweet fix. Well, I figured out how to cut and modify the back so that she couldn’t tell that the dough was missing. That dough was sooooooo good. Mom never figured out that I was eating over half of the dough before she could cook it. She kept these cookies in the fridge all the time. They were so good. I asked her for the recipe, she said she made it up every time she cooked, and can’t give it to me. Annoying. Yum, shortbread! And also, we are loving your caramel sauce!!! My favorite cookies are snickerdoodles! My favourite holiday treat are Scuffles (which I’m pretty sure are a Saskatchewan thing). They aren’t technically a frozen cookie but our family actually likes them best frozen. It comes from years of stealing them out my Mom’s freezer. This is our first Christmas low carb & we’re sad that we won’t be able to have our Scuffles. We were joking the other day that maybe we should send you the original recipe because you seem to come up with the most amazing low carb versions of all of our favourites (like Butter Tarts & Nanaimo Bars!). Being from Ontario, I have never heard of Scuffies. Very curious! My favourite cookies are any kind that have chocolate chips. For Christmas, we always had Bon Bons, a cookie dough wrapped around a hershey’s kiss, and mom used to make 8 layer Shortbread too. 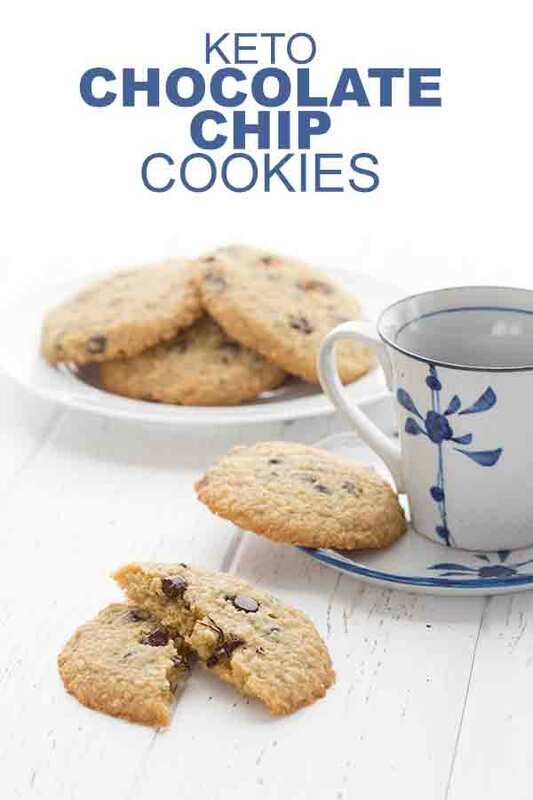 Chocolate chip, can’t wait to try these cookies ? Hi^_^ I haven’t done freezable cookies, but this is such a great idea! Since I have 3 little ones, preparing some goodies ahead of time would help a lot! I love chocolate chip cookie dough bites! Thank you for these recipes! Thanks for all you do to keep us eating right. I have never tried Lllly”s before. Everything sounds so good! The recipe in this list that I most want to try is the Magic Cookie Bars. I confess, though, they might not make it to the freezer. Thanks for this! I am totally inspired! Especially because I still have the taste of a Lilly’s chocolate bar in my mouth. Thanks everyone for your tips on your favourites! 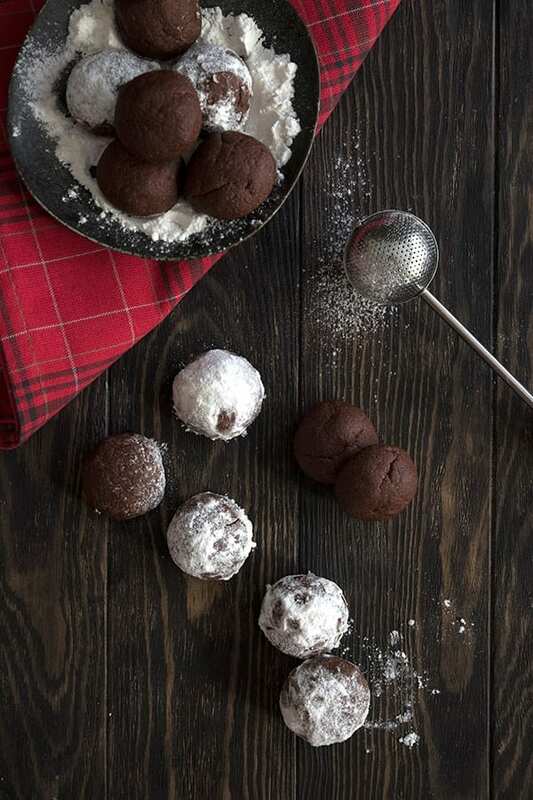 The thin mint cookie truffles look amazing! They all look amazing! Thanks for the giveaway! I don’t know how my name got scrambled like that on my previous comment! LOL! My mom’s German cookie recipe….not low carb but I’m working on that! Thank you so much for providing this awesome website full of delicious, healthy recipes! This is a safe haven for me and my family. I love Ranger Cookies, but finding substitutes for both oatmeal and crispy rice cereal is way beyond my capabilities, LOL. I’ll be satisfied if I can whip up a batch of Blondies, probably using coconut flour (due to tree nut allergies) and sugar-free chocolate chips. I think it’s doable. Thanks again for all you do! For fear of the ants we freeze all cookies. Then we eat them frozen. They are awesome! Looking forward to trying the shortbread and thin mint cookie. i have never froze cook dough before but looking at the above recipes inspires me to do so! i think that i just might have to start with the almond pecan shortbread!! 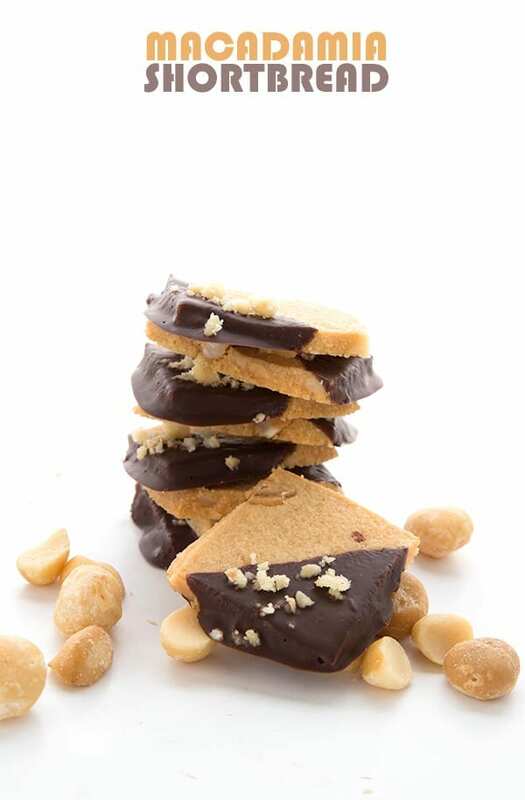 The peanut blossoms are a family favorite for eating & freezing but the chocolate biscotti will also get tried this year. Thanks, Carolyn for giving us so many options! Merry Christmas! I have yet to freeze cookies, but with all the yummy recipes I plan to try, now is a good time to start. Would love to win although sugar free and gluten free I have never tried this particular chocolate. Thanks so much for offering this great prize. Love these! Your magic cookie bars are always a big hit – they’re probably my fave to make. I NEED some great very low carb recipes. I have to stay at 30 carbs PER DAY or less for this new dietary study I’m part of for the next 24 months. This site looks like a good helpmate for me! Hi Carolyn, Thanks so much for all the effort, time and expense you’ve put into creating these recipes. My dear husband is a fabulous cook and baker. We never used to buy bread at the store, because his homemade is so fabulous. Since I went low-carb a month ago, we’ve been cooking and eating separately. We love to cook together so it has been a strain for us to have separate diets. I’m trying to find great LC/wheat-free recipes we can make together, and I’ve been very impressed by the results I get from your recipes. Even he admits they’re delicious. 🙂 I look forward to trying these! Hope you find a way to cook together again! I have enjoyed the benefits of frozen chocolate chip and sugar cookies. I am excited to try some of these. Cookie dough bites will be first! 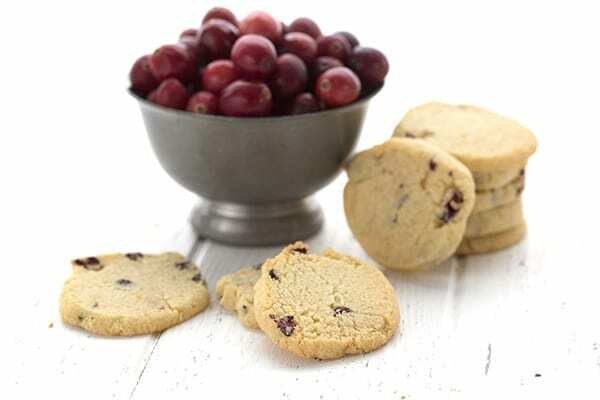 As of today, your Cranberry Walnut Chocolate Chip Cookies – the best almond flour cookie ever! Cranberry ginger butter cookies are on my to do list!! These cranberry walnut chocolate chip cookies are top of the list. 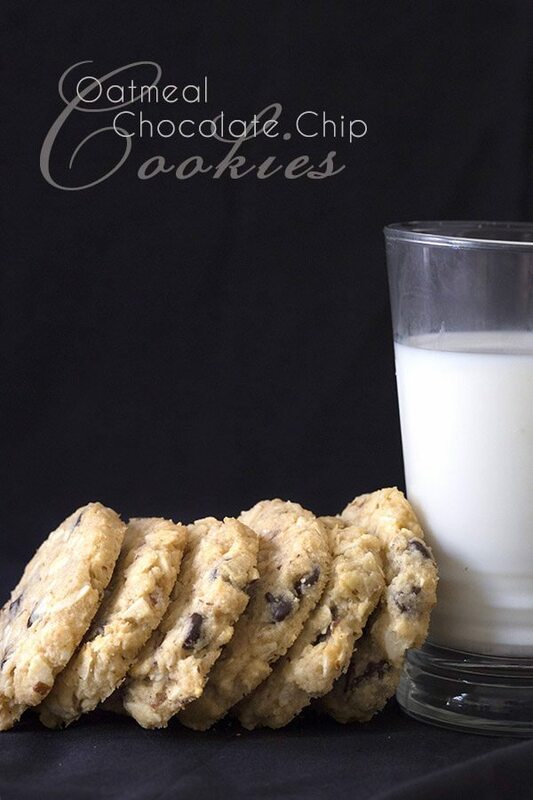 We love a good Chocolate Chip cookie recipe to freeze! Absolutely love Lily’s chocolate! Chocolate chip cookies are my weakness! I love your recipes! I’ve made several and they always turn out so awesome. 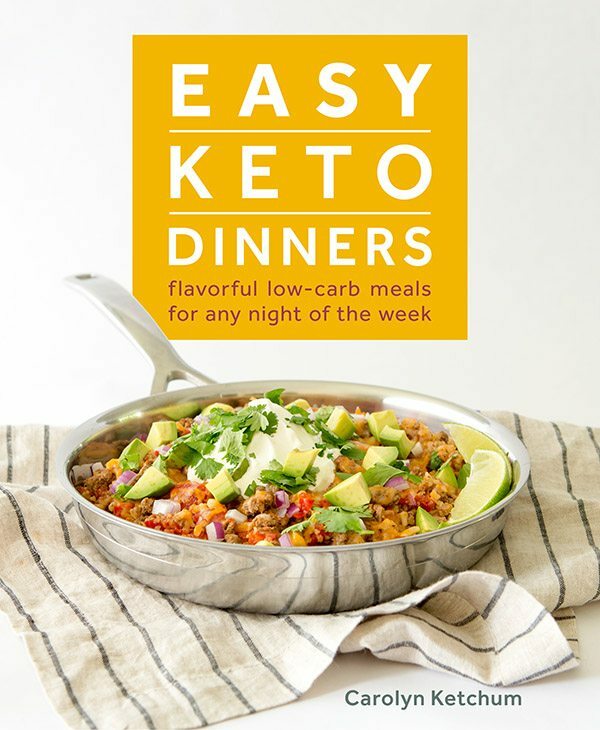 You make eating deliciously low-carb so easy! And I, like you, love all things chocolate! 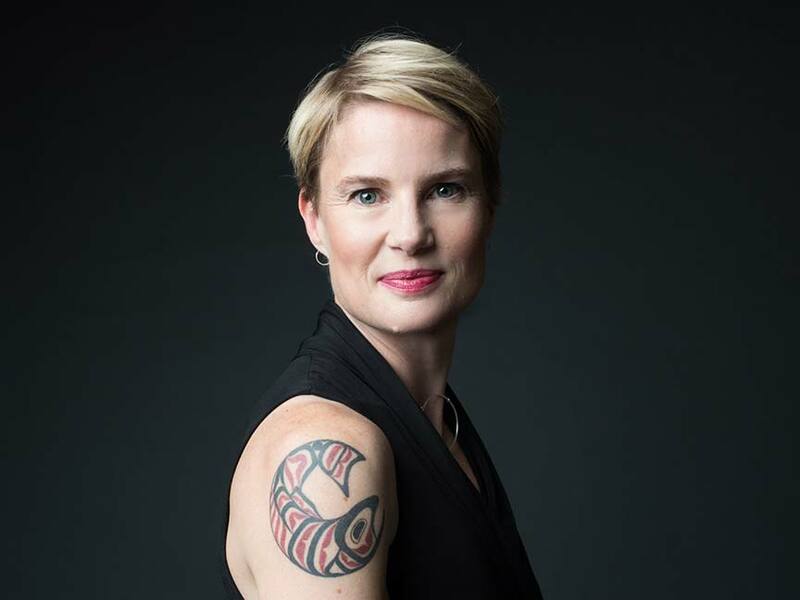 Thank YOU Carolyn for all that you do to make the low carb lifestyle delicious! My diabetic hubby loves breads and baked goods and thanks to you he can still enjoy them! Best wishes for a joyous holiday season to you and yours! favorite freezable cookie is oatmeal raisin. my favorite is choc. chip!! with Lilys chips! 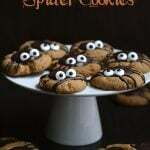 Will be making some LC cookies so I have something when my DH make or brings home all those ones I should not have. No Whole Foods near me so I hope I win the goodies so I can try them. i love to freeze chocolate chip cookie dough for later! Love your recipes! I use at least one of them most every week. Thank you for all the experimenting that brings us these wonderful recipes. I should say my all time favorite cookie of yours (which freezes wonderfully) is Magic Cookie Bars! What a great collection of recipes!!! Thank you!!! 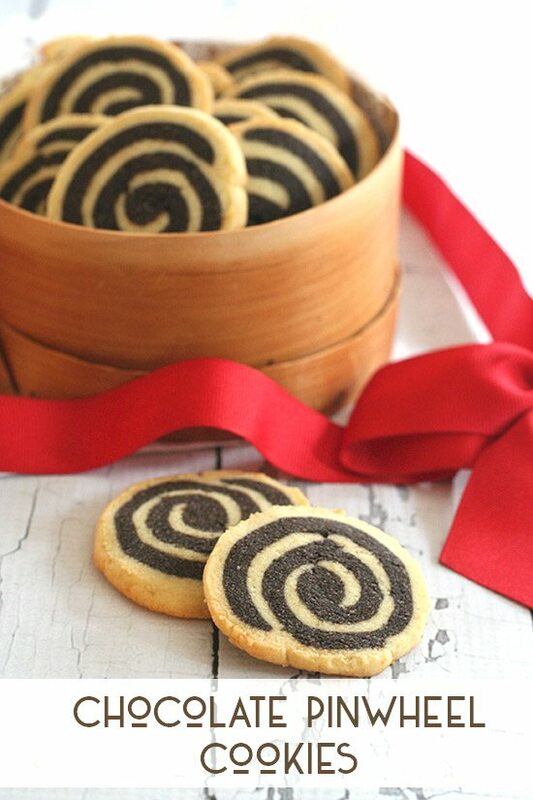 LOVE the pinwheel cookies. I also tweak the flavours so I can have lots of different cookie dough in the freezer. 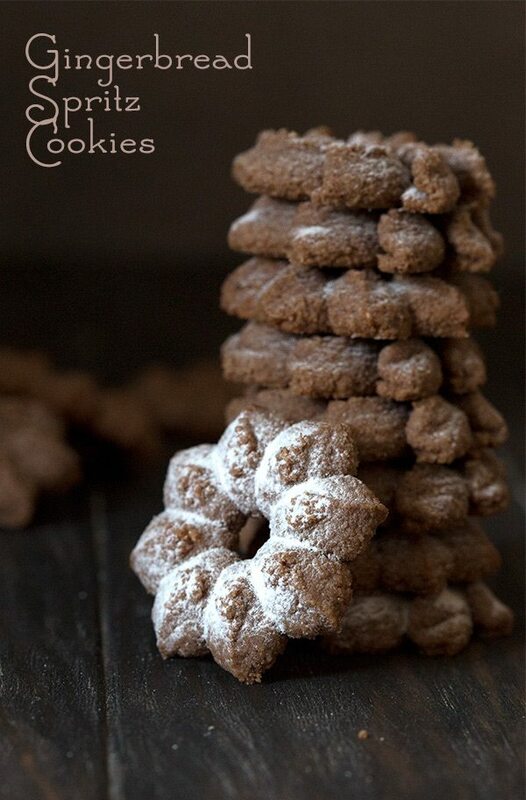 The Chocolate Pecan cookies look amazing! Thanks times a million. First holiday low carb and these will make my family so happy. LC shortbread coolies freeze nicely, as do your cheesecake cookie bars! I also love your chocolate chip cookie dough balls! Unfortunately, my favorite freezable cookies are chocolate rolo cookies.I’ve not found a way to make them grain and soy free yet, so I’ll just have to make copious amounts of cookies from your curated recipes instead. Anything to do with chocolate and peanut butter I love. I really like fresh fruit as well. 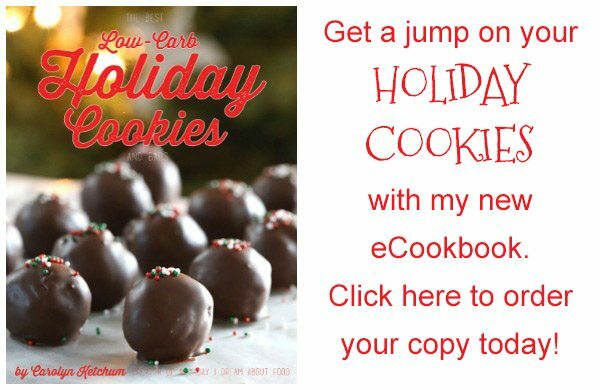 Caroline: I am just finishing up my holiday cookie baking and I wanted to take a minute to say thank you for this wonderful set of recipes. Usually I love spending time in the kitchen, but during the holidays it can get hectic and stressful, especially since I have to make absolutely everything from scratch or there’s no holiday baking at all! Making a batch or two of cookies at a time has been so relaxing — plus since these kind tend to go stale quickly, it’s so nice to freeze them and pull out a small assortment as needed. Plus, your recipes are just beautiful — I’m not much of an artist when it comes to baking, but these look so elegant far beyond what I would normally create — thank you so much! Thank you, Pam, for your sweet note. So glad I could help! I am amazed at all these yummy desserts, I would love to have you share on my linkups!! These recipes look amazing. 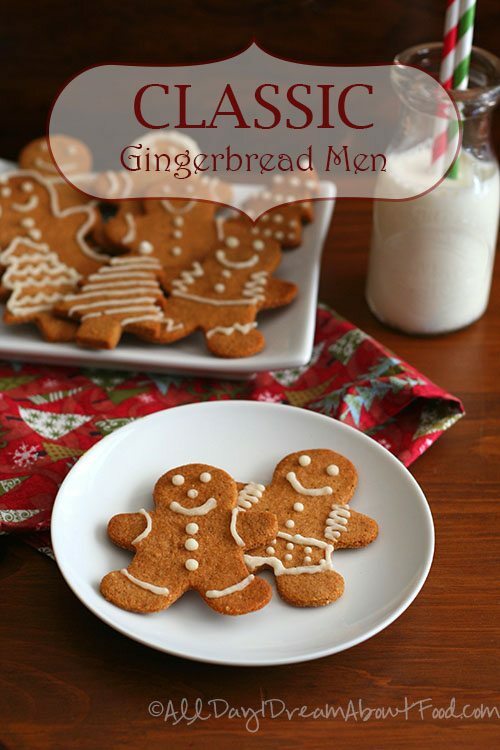 I want to try to make a few of the cookies for when my son comes home for Christmas. We are both diabetic and trying to follow low carb. How far in advance can I make them and how do I store them so they will taste fresh for the holiday? I’ve honestly kept many of these in my freezer for up to two months! Just be sure to read the little bit of instruction I gave. Some are best frozen unfrosted or unglazed, etc. A big shoutout from the Ottawa Valley Canada and a humongous Thank You for all of your delicious recipes! As we enter the Christmas season, I will be baking up a low-carb storm and your recipes will be front and centre! Wishing you a Joyous Holiday and continued success in 2019! Cheers! 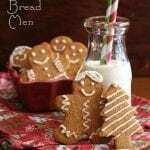 I was really excited when I received your post about the recipes for Christmas Cookies because I was just thinking about finding some since my daughter and I have not had any since our diagnosis of food sensitivities so I am looking forward to trying these recipes. I also have a friend who was also looking for recipes and sent her the posting. What a lovely roundup of cookies Carolyn. The ‘Oatmeal’ Chocolate Chip are my all-time fav. I mega batch bake and freeze everything, the majority of your recipes freeze extremely well. We are planning a little family Cookie and Candy Baking day for the Holidays and have been struggling to find recipes we can adapt to be GF. THANK YOU for this. Although we can’t make them all (though I desperately want to), I will gladly sort through the list and get a few on the agenda. Thanks!